girly? my god, have you seen other japanese young actors? 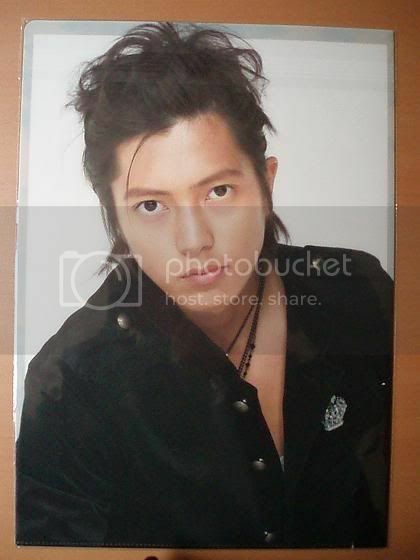 Kame plucks his own freaking eye brows! All asians look too young for their ages. If you think he's cute and adorable, then I doubt that's called different tastes from us. yayayyy!! I saw this thread a couple of times already but didn't register that manatsu was yamashi ta...thanks for all the hot pictures! 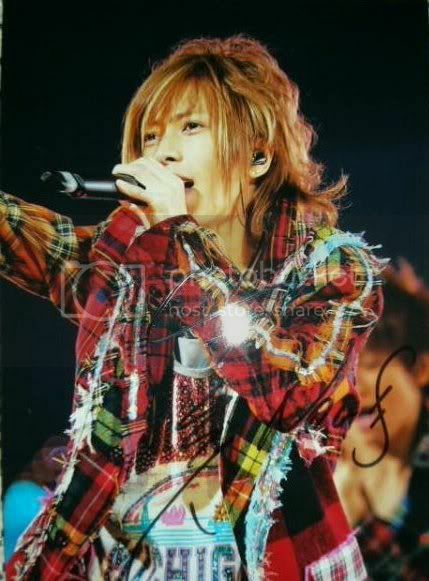 (*drools)...btw, Peanuts, your sig is awesome! 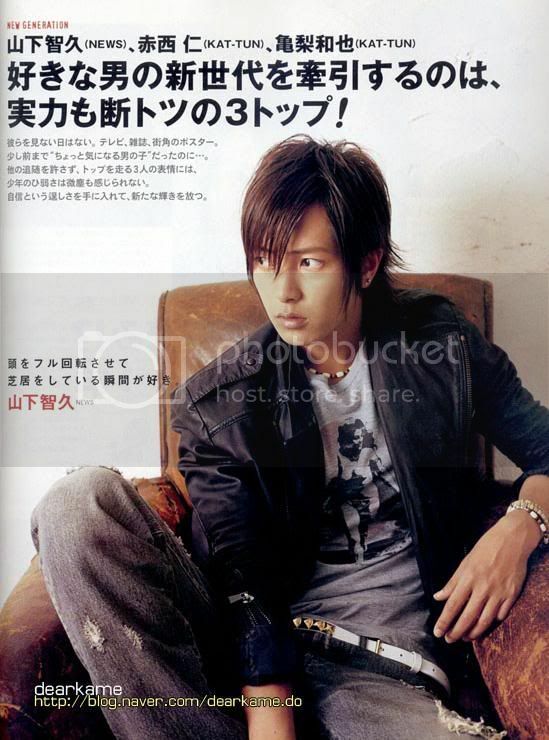 yamapi!! i thought he was the gayest guy on earth when he first showed up in nobuta.. but then he just laughed his way into my heart ^___^ kon! lol...i actually think Nobuta's Akira is the manlier (if that's a word) yamapi...if you thought that was gay, i think you'd die once you see him in Stand Up...I love Yamapi to death but I cringe when I see that drama! I like the new YamaP look as he has gotten chubbier and more manly lately. He's not the most handsome guy out there, but his character in Nobuta wo Produce definitely attracted me. He's such a cute guy, lol. i absolutely CANNOT wait to see him in the spring doramas!! can someone tell me where to find that song? its so cute! i read in PB forums that Maki (the actress who plays Nobuta) will star in his new drama! YAY! AKIRA AND NOBUTA WILL FINALLY BE ABLE TO BE TOGETHER! i really wanted nobuta and akira to be together in the other drama!!! omgosh, looking at his pics are making me melt!!!! i love the new look better! the "buffer" look! he was so skinny in Stand up! he was cute back then too but now he's just so freakin S..E...X....Y!!!! yeah he is starting to look more like a man .... a hot man. maybe it is just me but i think that he is starting to develop a nice chest. he looks very quiet and serious in real life. i read somewhere that he is taking a business major (not sure if it is true) not the typical major that stars usually choose. i wanted akira and nobuko to be together in NOBUTA WO PRODUCE. i am not sure if i want to see them together in other doramas. and i dont see them as the perfect match. but sure. why not, if the producers want it that way. not that they're bad match. yamapi is so handsome that he goes well with ANYONE. LOL. and nobuta is for sure a pretty girl. but i guess he can have a partner for ALL the scams... ummmmm.. sure. why not. maybe i'm crazy but in nobuta i wanted the 3 of them to end up as friends. but together the 3 not like it ended. BTW that KON thing is so addictive. thanks god he cut his hair. i think that he looks way better with short hair than with that long curly hair. my favorite scene in nobuta. its a real good picture. but... something is wrong. LOL. yamashyta and hyde .... vampire ... ummm.. yum yum. Found this in google and yahoo, so the credits goes to whoever uploaded this.